What's up with the new facility? Today in the midst of a completely packed house I had the privilege of celebrating progress in our building campaign. People have given $35,000 since our first big give date just a month ago. We are giving 10% of everything received since that day to our local serving efforts, so $3,500 was available for our "Unexpected Christmas Store"--which along with another $2,000 from Ridge Church operating budget and $3-4k in donations, supplied Christmas for 14 local families. So how are we doing? Really? We have received over $148,000 total to date for our 1 twelve campaign! So here is how it breaks down in comparison to our goals. As a refresher: "1" stands for bigger one time gifts designed to fund most of the up fit and "twelve" stands for 12 month commitments/pledges in 2012 to help absorb the remaining up fit and increased overhead costs related to our new facility. The "twelve pledges" are an absolute must for us to get into the building so lean in and dream big with us! Here is the video we showed today as a little reminder of why this matters. Awesome to be a part of this Church and this mission! Amazing day for Ridge Church. We started off the day with a pancake fundraiser completely initiated and implemented by one of our awesome community groups (you should be in a group if you're not!) Then we went straight over to the future home of Ridge Church for the first weekend of our unexpected Christmas store. Dozens of volunteers worked like crazy to help create this red carpet experience for families in need. We will provide a complete Christmas for 14 families when it's all said and done...but more than that we are providing HOPE! Hope that no matter how hard their situation may be that their Heavenly Father hasn't forgotten them. I'm blown away and honored by the sacrificial generosity of the people connected to the Ridge Church community. I use the word "connected" because some of the people that have continued to support Ridge Church financially through the years don't even attend our church and some don't even live in our city--but they believe in what we are doing enough to to help fund this amazing mission. [The "twelve"] The "twelve" of 1 twelve is equally if not more important than the big gifts. 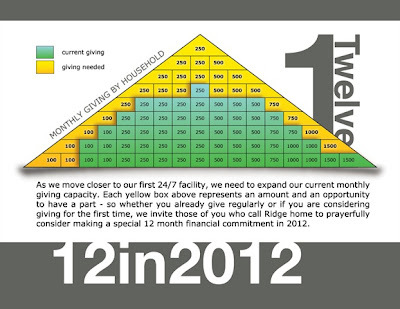 The "twelve" represents a 12 month commitment in 2012 to increase our monthly operating budget. Without this monthly increase we won't be able to sustain the increased costs related to a 24/7 facility. On December 18th we are doing a "pledge" day. The chart below represents our current giving, our goal, and what it will take for us to bridge the gap. We only need 25 families or individual to either START giving or INCREASE there giving (picking up one yellow box each). This goal is very achievable...so we would love for you to pray--then pick a box for 2012. TOGETHER WE CAN DO THIS!! Do you have breakfast plans Saturday? This is something that one of our community groups took upon themselves, to plan, promote, and do and I think it's incredible that people have owned the vision and mission of Ridge at that level. 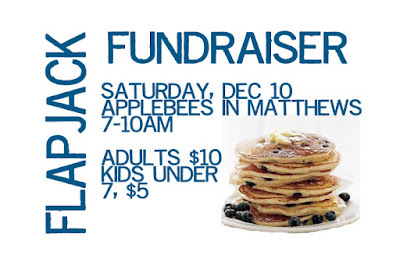 So please come out and support their efforts and our mission. Our church is working on what we are calling an "Unexpected Christmas Store" for 14 families in need at a local title one school that Ridge Church partners with on an ongoing basis. We wanted to fill their wish lists, supply all of their needs, plus bless them with a few things they didn't ask for including Christmas ornaments, decorations, and tons of basic household items. 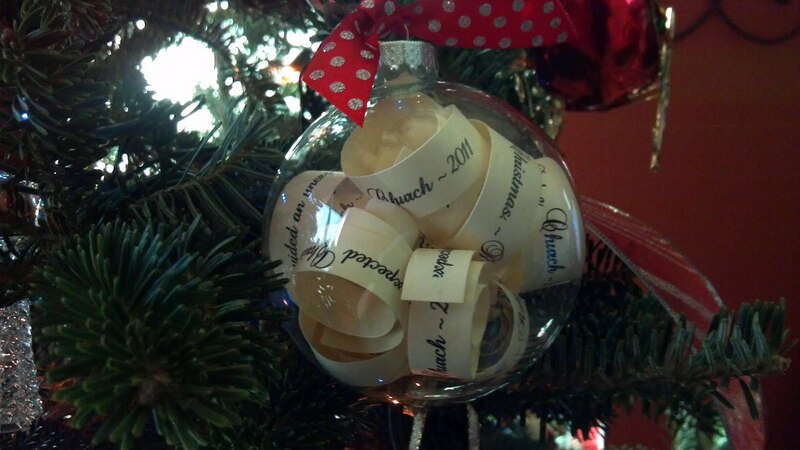 In order to help us cross the finish line and meet our goals we decided to create a memory/keep sake ornament that says "I helped provide an unexpected Christmas-Ridge Church 2011" Each ornament represented the donation of a tree, ornaments, and a household gift so they were $50 each. The awesome part is that both of our giving kiosk lines were full and we sold out of the ornaments! They look awesome but the best part is that they are ornaments with a purpose--TO GIVE HOPE! We want these families to have a small reminder that God has not forgotten them. We are going to re-stock for next weekend and I can't wait to see the impact on these families and this school!